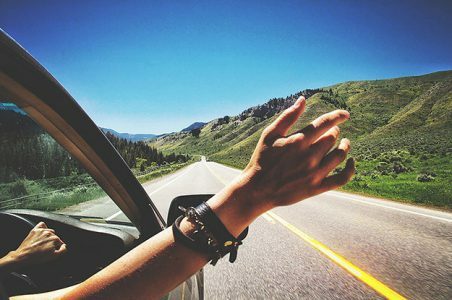 Sometimes, the best way to bond is on the road and what better way than to start by undertaking these road trips in India. Friends and families swear by this method – with enclosed space, different vistas passing by, and just the core group enjoying each others company creating the most cherished memories. So, here we bring you a list of the best adventure road trips in India that should surely find their way into your bucket list. 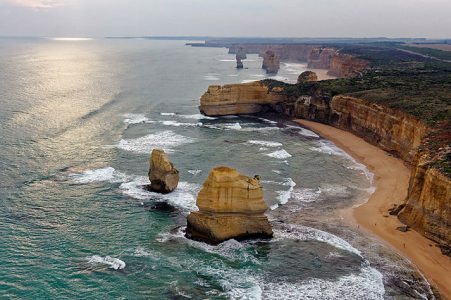 Finally, if you are looking to undertake the perfect European road trip then look no further and read our blog on Best European roads to complete your Euro trip. The Mumbai to Goa road trip can be considered as one of the best road trips in India where you can experience immense scenic beauty. This route takes you through the mesmerizing Western Ghats all the way to Goa, the land of stunning beaches. The road trip will remind you of Dil Chahta Hai where the drive is more about the journey than the destination. Rains bring with them a certain charm and wilderness and if you want to beat the rush, the monsoon months will also be perfect. But the roads turn slippery and mucky during the rains. You can book a car rental in Mumbai to enjoy the drive at your own pace. Stop and rest wherever you like and explore the coastal plains own your own terms. There are two routes you can take depending on how much adventure you are looking for. The Mumbai to Goa route through NH4 is considered a safe route, especially when travelling with family and kids. The NH4 highway is a 4 lane one with proper road dividers. Having fewer ghats, the road does, however, have a lot of toll booths. Be prepared to spend more. Lonavala: Stock up on loads of its famous chikki and check out stunning sunrise at Tiger’s point. Pune: Visit Shaniwar Wada, Pataleshwar Cave Temple, and the magnificent Sinhagad Fort. Kolhapur: Look out for Mahalakshmi Temple, Rankala Lake, and the historical Panhala Fort. Belgaum: Stop by Belgaum fort and, if you love nature, visit the Bhimgad wildlife sanctuary. 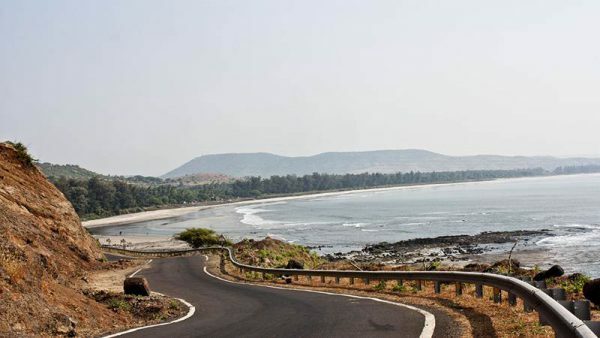 Book your car rental in Mumbai now and kick-start your road trip from Mumbai to Goa. This road trip from the city of Chennai to the evergreen Munnar is all about rejoicing a weekend! The city of Chennai is the starting point which takes you through many places in Tamil Nadu and finally to reach the beautiful Munnar. Situated at the confluence of three mountain streams – Mudrapuzha, Nallathanni and Kundala, Munnar it is a popular tourist destination for both domestic and foreign tourists. Famous for its tea estates, exotic scenery, an abundance of flora and fauna and craggy peaks, this beautiful hill station was once the summer resort of the erstwhile British Government in South India. 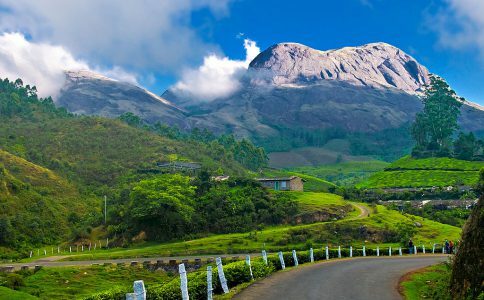 An extremely peaceful place with pleasant weather, Munnar is a delight for its tourists and will check out a major pitstop from your list of best road trips in India. Take a train or a flight from your current location to Chennai. Then begin your awesome journey on road by hiring an Avis self-drive car in Chennai. Make your trip fuss and irritation free by giving yourself the freedom to be your own boss. 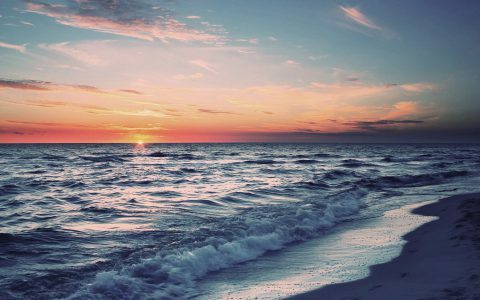 Also to find the best weekend getaways near Chennai click here. The best route to take is Chennai-Trichy-Dindigul-Udumalai-Munnar. Viluppuram to Trichy – Viluppuram is the largest district in Tamil Nadu. Make a small stop here and proceed towards Trichy. Take the NH45 to reach Trichy. Trichy to Dindigul –Explore various South Indian temples like Sri Rangam Ranga Nathar Temple, Jambukeswarar Temple, Sri Ayyappan Temple and many more in Trichy. Dindigul to Palani-Dindigul was a popular centre during the ancient times. Do check out the Dindigul Fort. Palani to Udumalai- If time permits, visit the famous Murugan Temple in Palani. Otherwise, drive towards Udumalaipettai via NH 209. Udumalaipettai to Munnar- Engulfed by the Western Ghats, Udumalai is a scenic place. Be careful of the hairpin turns while driving at this stretch. Camping, trekking, mountain climbing and safari are some of the best things to do in Munnar. Book your car rental in Chennai now and kick-start your road trip from Chennai to Munnar. Often called the ‘Paris of the east’, Kolkata is the melting pot of many cultures and the hub of politics and commerce. Road trips from Kolkata are a great way of breaking away from the hustle and bustle of the city, and with a variety of options for self-drive cars in Kolkata, this has become the go-to option for anyone looking for affordable convenience and luxury. One of the best options to consider, in this scenario, would be the soulful land of the great river Ganges, Varanasi. The ultimate pilgrimage spot for Hindus, Varanasi or Benares is the oldest living city in the world. It is a centre of religious learning and philosophy. It is also the place where Buddha preached his first sermon after attaining enlightenment. This road trip in India will definitely make you wise and thoughtful. If you are beginning your journey from Kolkata then you can easily hire a car rental in Kolkata. It’s a cost-friendly way and ensures that you and your gang thoroughly enjoy each moment and set your own rules for the drive. Which is the best Kolkata to Varanasi route? Kolkata to Varanasi is mostly a direct route on NH 2 between Giridih and Gaya and then Gaya to Varanasi. Kolkata: While leaving Kolkata behind you will pass the Nivedita Setu with a series of colonial enclaves shrooming up on your side. Varanasi: Visit the many holy ghats and temples. Take a boat ride to Ramnagar Fort. Book your car rental in Kolkata now and kick-start your road trip from Kolkata to Varanasi. Goa being the party capital of India, it tops the list of best places for holidaying in India. Owing to history, its old charm and colonial architecture are spectacular. An added bonus is its location on the Western Ghats and Konkan which is a biodiversity hotspot. Cities, from which drives/rides are usually done to Panaji, come with beautiful ghat sections culminating along the coast. This road trip begins in Bangalore. You can travel to Bangalore by car, bus, train or flight but we will recommend you to traverse this road trip in India by hiring a self-drive car. Which are the best Bangalore to Goa routes? Driving distance on the favoured route through Hubli NH4 and Karwar NH63 NH17 is at 706 km. Alternately, if you drive through Dharwad NH4 and Ponda SH34 NH4A NH17 it is shorter at (592 km) and much more scenic. Ranebennur Blackbuck Deer Sanctuary- It was declared so to protect blackbucks and the highly endangered Great Indian Bustard. It also has a high wolf population. Stop by if you enjoy wildlife photography. A detour towards Anshi-Dandeli Tiger Reserve off NH63 has Kali Adventure Camp known for white water rafting. The shortest route through Ponda is also a gateway to Bhagwan Mahaveer Wildlife Sanctuary and Mollem National Park. Enjoy the wildlife as well as the Dudhsagar waterfalls. Jog, India’s second highest plunge waterfalls can’t be given a miss. A laser and musical show happen every night during monsoons. Book your car rental in Bangalore now and kick-start your road trip from Bangalore to Goa. A road trip from Delhi to Dehradun is just what a doctor would advise for calming your nerves if you are in Delhi or nearby. Book one of the hotels in Dehradun in advance so that you do not have to search for accommodation when you reach this hill station. Delhi to Dehradun is considered one of the best trips from Delhi and definitely among the top 10 in road trips in India. Dehradun was historically established as a military station, and it still holds on to its colonial bearings. 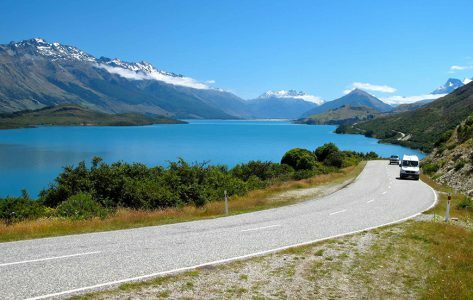 You should also typically plan the trip with at least one or two more people who can take turns at the wheel, as the ascent into the hills may tire you out sooner than you think. A must-stop along the way is Hotel Cheetal where you can grab some amazing sandwiches, pakodas, etc. Feel the wind in your hair as you take in the fresh air you get closer to the hills. 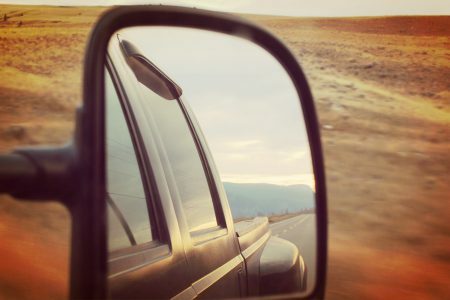 Get full privacy and stop at places which interest you the most for as long as you want. Meerut lies 70 km from New Delhi and is one of the largest producers of sports goods, and the largest producer of musical instruments in India. Some places to stop by in Meerut are Jain temples of Hastinapur, Gandhi Bagh(Company Garden) and Suraj Kund. 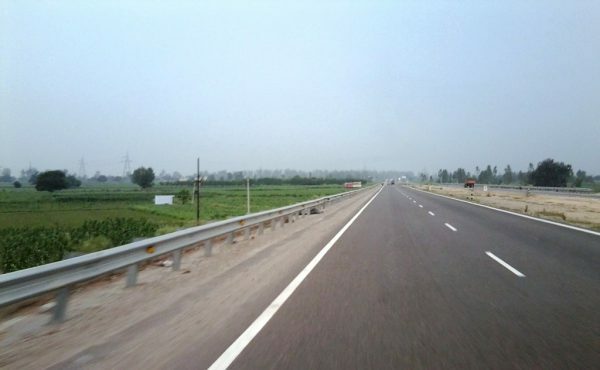 Muzaffarnagar lies approximately at the middle of the road journey from Delhi to Rishikesh (also on NH-58). Explore the multitude of hidden treasures that Dehradun beholds while on their way to Mussoorie or other neighbouring hill stations. From caves, monasteries, temples, markets, waterfalls, to medicinal springs, there’s a lot to be explored and experienced in Dehradun. Book your car rental in Delhi now and kick-start your road trip from Delhi to Dehradun. A small town in the Satara district of Maharashtra, Mahabaleshwar serves as a major getaway for those tired of their everyday hectic, predictable lives. Only a three-hour drive from Pune, Mahabaleshwar offers the most enchanting of views. Known for its pleasant weather, the small town is a land of undiscovered experiences. Pune to Mahabaleshwar trip will take you past hill stations endowed with the crowning beauty of mother nature. This is assuredly one of the best road trips in India. If you and your family happen to be in Pune and want a thrilling adventure road trip, then get an Avis rental self-drive car from Pune and drive all the way to Mahabaleshwar. You get to enjoy the perks of self-drive and have an awesome time with your people leading to better bonding. This road trip is filled with several breathtaking views along the way. To reach Mahabaleshwar, take NH48 which offers you a sublime and relaxing ride. Along the way to the hill station, you’ll cross Surul, Wai, Panchgani – another beautiful hill station only 20km from Mahabaleshwar. A short distance from Mahabaleshwar, this hill station is known for a lot of favourite points and the Kaas Plateau. It is famous for the variety of flowers and butterflies. Mapro garden is another tourist attraction in Panchgani which has a restaurant, a chocolate factory, and a retail outlet. This fort serves as a major tourist destination and is divided into two parts – the upper and lower Fort. Surrounded by a large area of forestland, the view from the fort is simply magnificent. It is a man-made lake that was built by Chattrapati Maharaj to solve the problem of water scarcity for his people. Boating is a renowned activity here that attracts a number of tourists. The sunset from here is also mesmerizing. Book your car rental in Pune now and kick-start your road trip from Pune to Mahabaleshwar. Historic temples and soothing seas will welcome you at the southernmost tip of the Indian sub-continent, Kanyakumari. Visit this dynamic city over the weekend and come back feeling refreshed after spending some time on unexplored beaches and lush paddy fields of Kanyakumari. Push your seats back, roll down the window and enjoy the beautiful sceneries while the Kochi to Kanyakumari distance is being covered by car. The distance from Kochi to Kanyakumari is ideal for a road trip in India. With Avis car rental user-friendly website, you can book a self-driven car online in a few simple steps and avail a hassle–free car rental service from Kochi. You may halt at your convenience anytime, anywhere and enjoy your short breaks. The Swami Vivekananda Rock Memorial is a popular stop for tourists visiting Kanyakumari. On the way to Kanyakumari, there is the gorgeous Padmanabhapura Palace. If you have an extra day here, you can also drive up to Sunset Point at Cape Kovalam to see the lighthouse. Also, head to Kamarajar Memorial Park by the sea. Book your car rental in Kochi now and kick-start your road trip from Kochi to Kanyakumari. 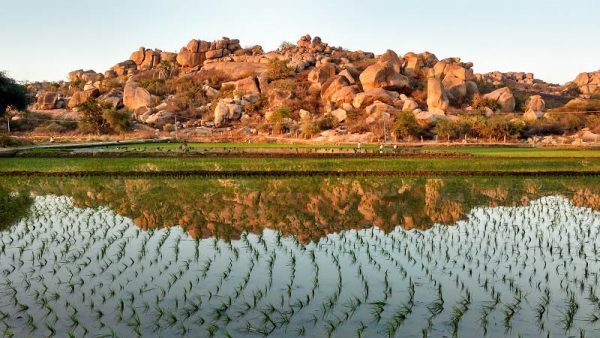 Hampi is pristine and peaceful away from the hustle bustle and chaos of the city. Forget 3G, most places barely have any phone network. HAMPI, popular as a hitch hiker’s dream destination, is famous for the ancient architecture and the innumerable ruins. Typical tropical climate and hot weather in the area make the monsoons the best time to visit HAMPI. A visit to such historic places makes you wonder how vastly rich and incredible our glorious nation once was. Hippie island is a backpacker’s paradise and is on the list of every wanderlust lover. Avis rental car service is available in Hyderabad. Don’t take a lot of time to decide! Just click here to start your experience of a road trip in India and book your self-drive car to Hampi. Check out our blog on Stunning getaways near Hyderabad to make your weekend perfect. There are a couple of other routes which one can take to reach Hampi. The first one keeps you on the NH7 for a longer period and takes you to Hampi via Kurnool, Guntakal, and Ballari. Though, the Raichur road is the best one in spite of the bad batches as it saves you considerable time and also because it seems to a busy route with ample amount of greenery all around you on your way. Vittala Temple Complex- Vitthala Temple in Hampi is an ancient monument with exceptional architecture and unmatched craftsmanship. You can appreciate the workmanship of builders during the ancient periods. Prasanna Virupaksha or Underground Shiva Temple- It is one of oldest temples in Hampi. This temple belongs to the time when Vijayanagara Empire ruled. The temple is located near the main road to Hampi bus stand. Book your car rental in Hyderabad now and kick-start your road trip from Hyderabad to Hampi. Next All that you need to know about German Beer Festival 2018!